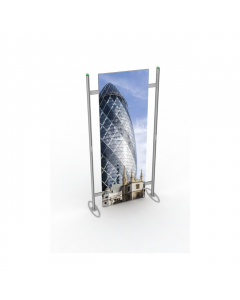 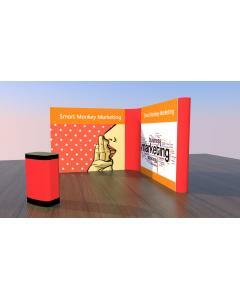 This 6m x 3m Centro Modular Exhibition Stand comes with an audio visual feature, two product display stands, a tablet stand with graphic panel, an A4 portrait literature stand and a large curved counter. 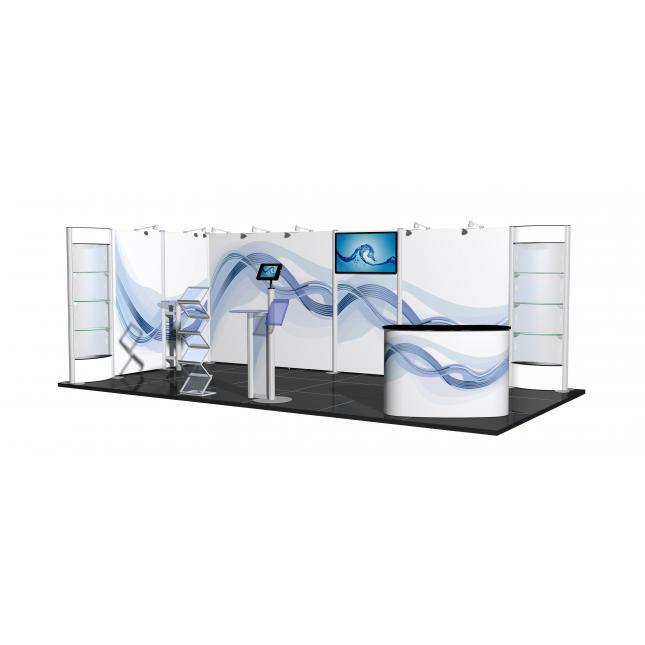 To complete your display we include 7 spotlights, a podium table and 8 wheeled cases for transporting your stand and keeping it safe when in storage. 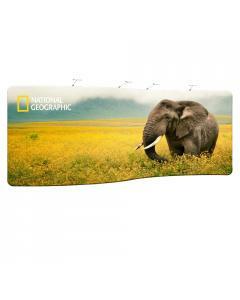 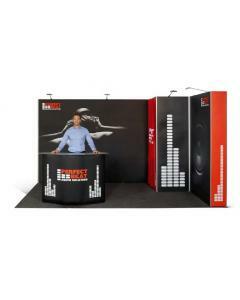 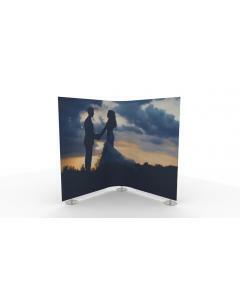 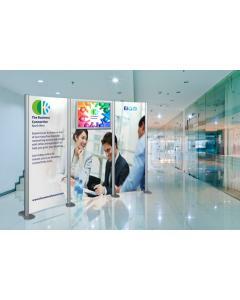 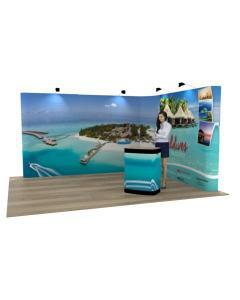 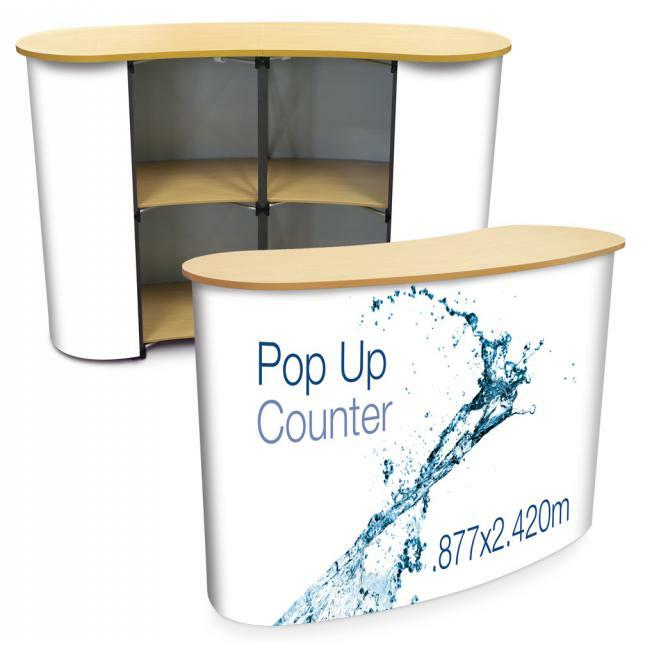 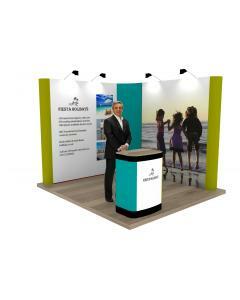 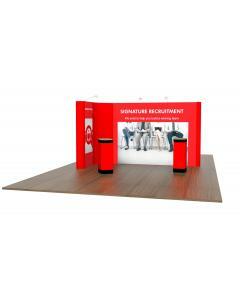 This stand is supplied with a combination of rollable graphics panels and some rigid foamex panels. 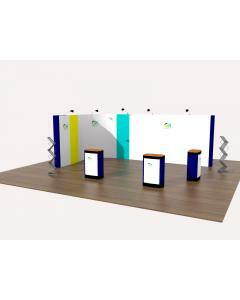 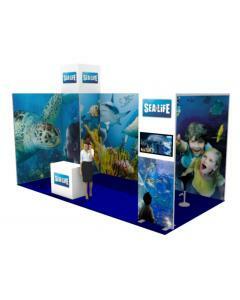 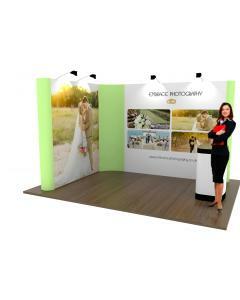 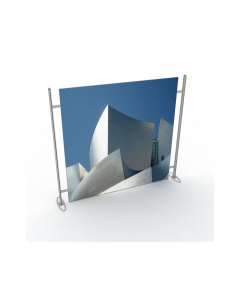 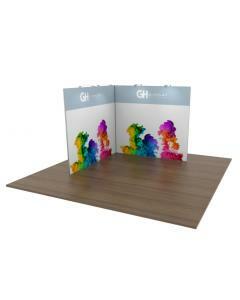 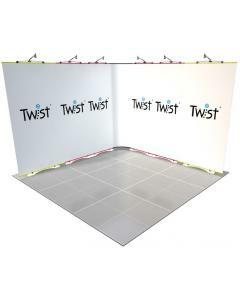 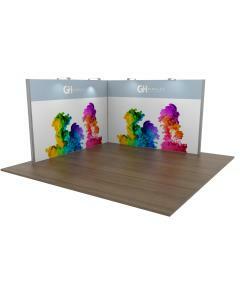 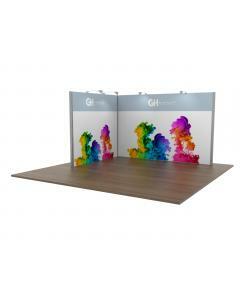 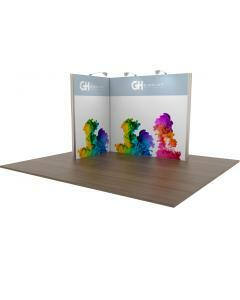 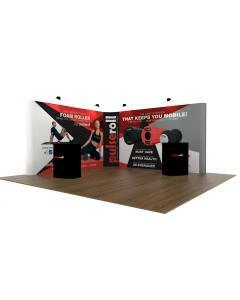 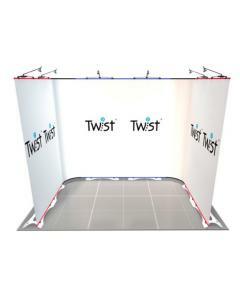 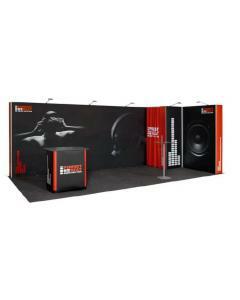 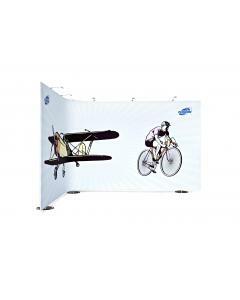 This layout is ideal for 6m x 3m with two open sides, shell scheme or space only exhibition stands. 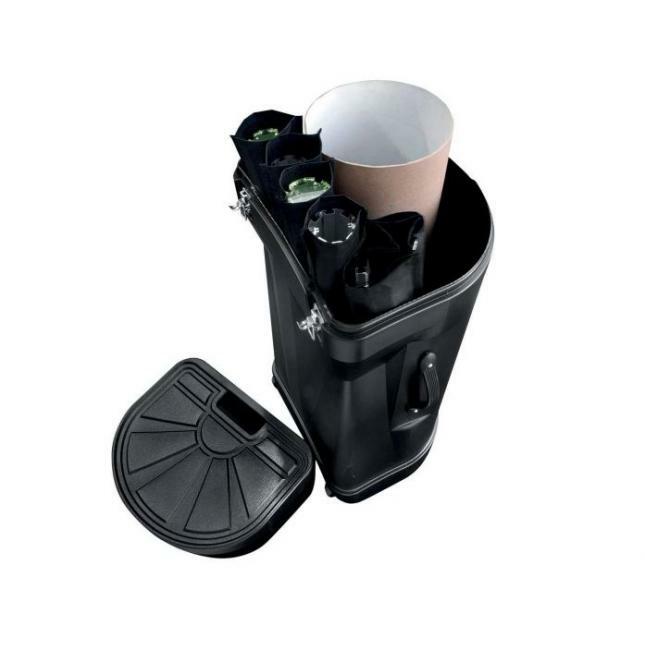 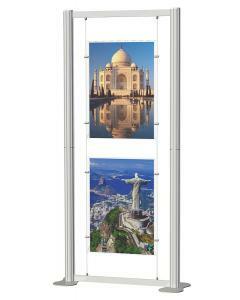 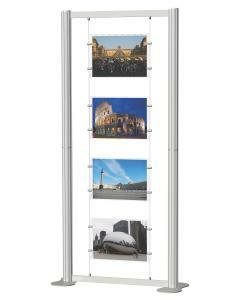 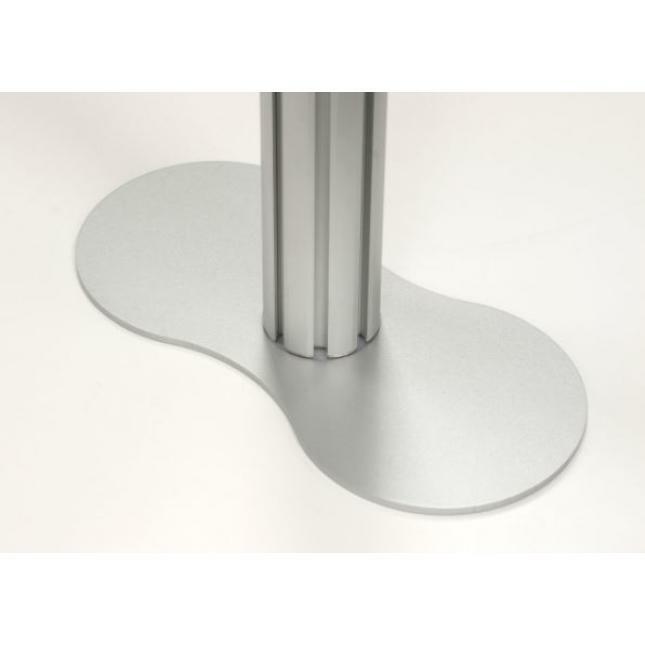 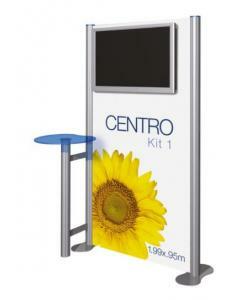 The Centro Display system is designed to be simple and quick to install. 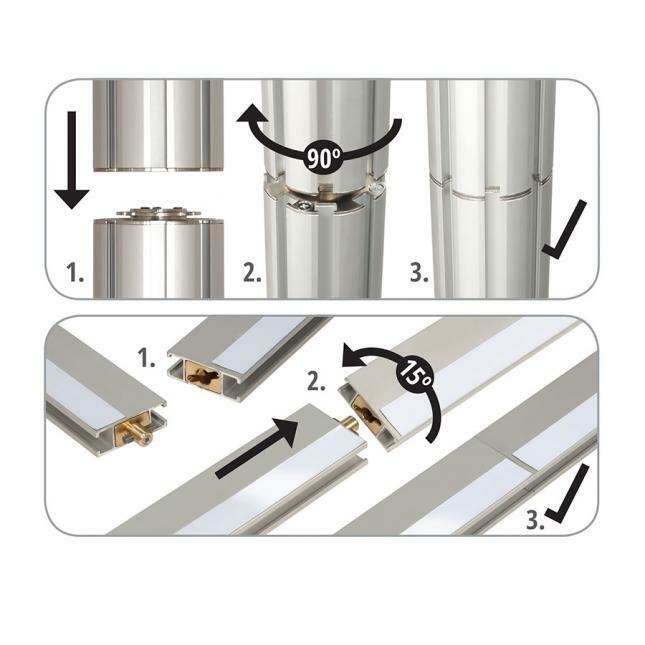 The unique RotrLink connection system and the 8-way posts and cross-rails simply twist and lock together. 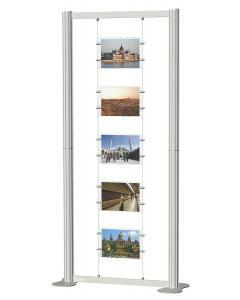 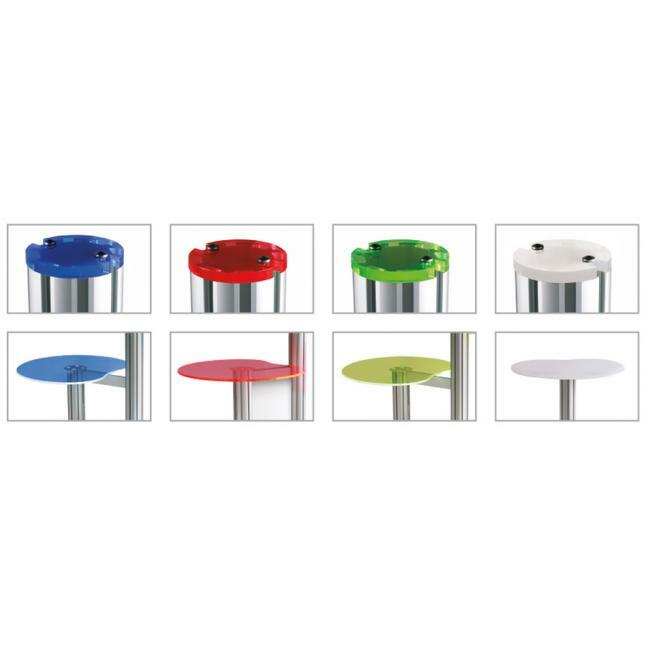 Each post comes with an acrylic end cap in a choice of four colours; red, blue, green and frost white. 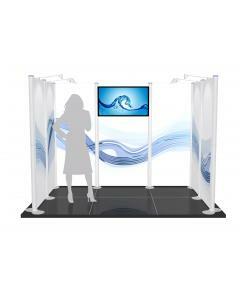 The Centro system can be easily extended and reconfigured as your exhibition requirements change and your stand spaces grow in size. 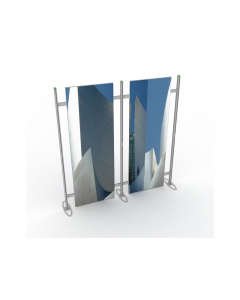 Framework and feet as per the specification pdf document: Download a plan view with specification details here. 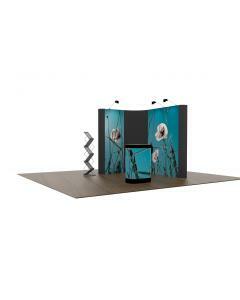 Hardware Dimensions: this layout fits within a 6m x 3m exhibition space and all walls are 2021mm high. 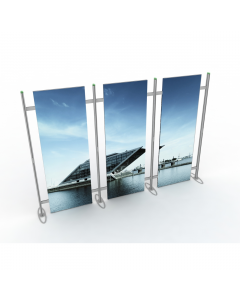 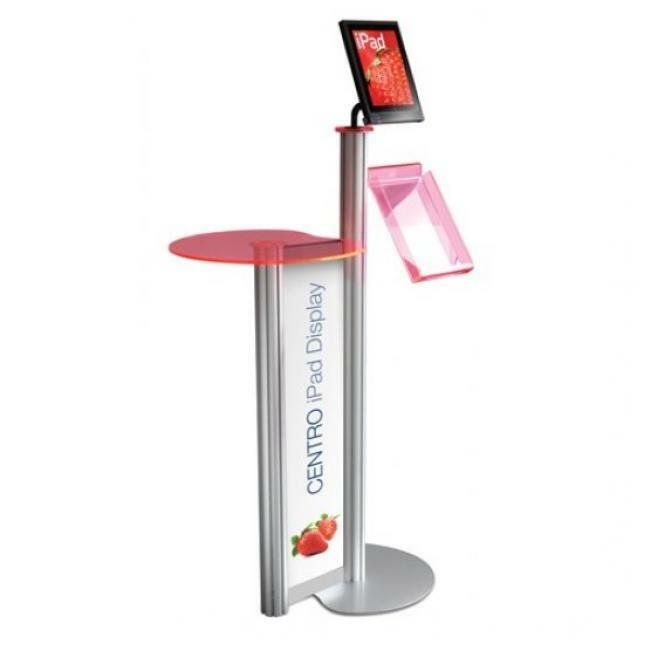 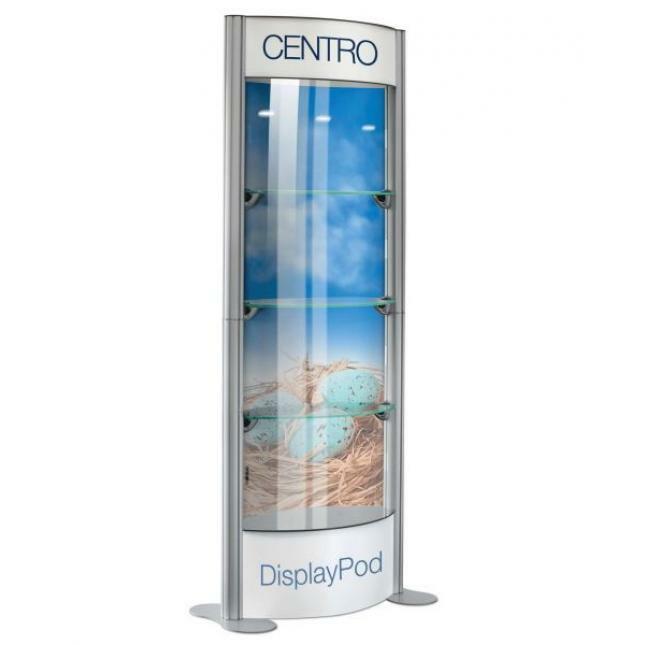 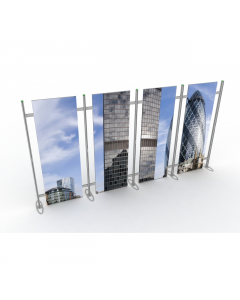 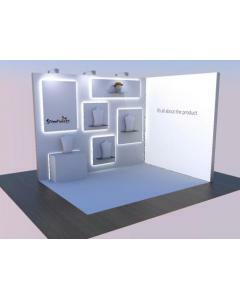 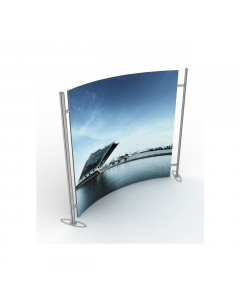 Please note, this listing is for a 6m x 3m stand with AV feature and product displays, however the Centro system can be built for any size stand space. 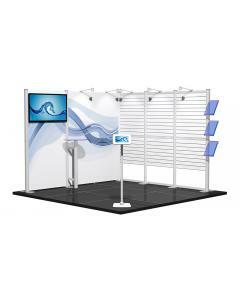 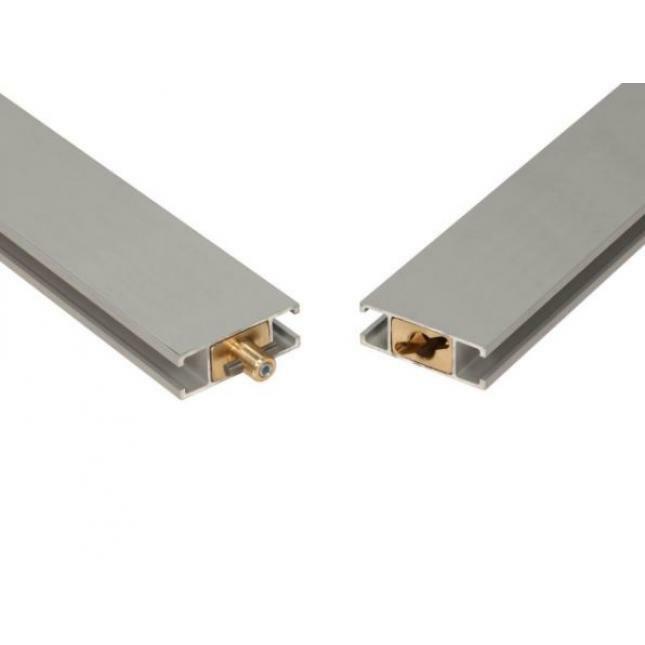 For a layout and configuration that is not listed in our online shop please contact us to obtain a quotation. 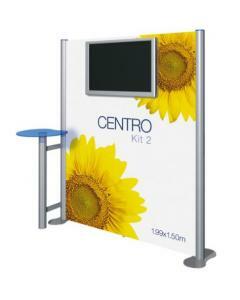 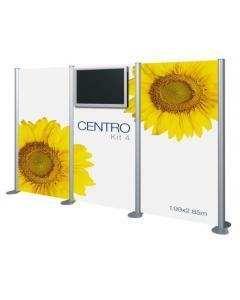 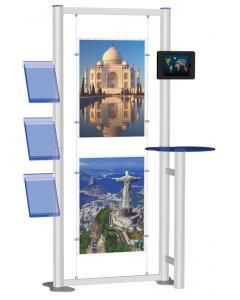 Why choose the 6m x 3m Centro Modular Exhibition Stand with AV and Product Displays? 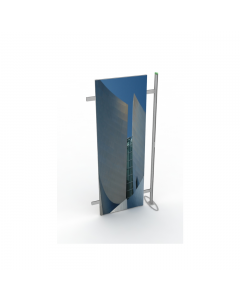 Download a specification plan below.